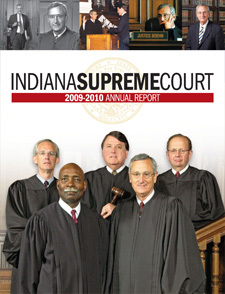 Produced annually, these reports provide information about the work of the Indiana Supreme Court. Included with the statistical data is an overview of the significant events of each fiscal year and a description of the activities of the Court and its affiliated agencies. For more information about the Court, its history, and its various agencies and programs, visit www.IN.gov/judiciary.